It's 1860; West Tennessee farm boy Sam Carter has his heart set on lighting out for Texas when he turns eighteen to seek his fortune in the Lone Star state. His plans to go alone suddenly change with Sara Beth Sullivan, a local girl who has spent much of her life in Nashville, convinces him that they should go together. The young couple are making plans and saving money when the new president, Abraham Lincoln, puts out a call for troops to invade the South and put down the rebellion of the Southern states. The Tennessee legislature votes to secede and the vote is ratified by the state, although Sam and Sara's own county votes to stay with the Union. Sam is torn. Finally, an acquaintance in Memphis, a businessman named Nate Forrest, convinces him to join a local Tennessee cavarly unit. While they are in training, Forrest recieves authorization from the Tennessee governor to raise his own regiment and asks Sam Carter to go with him as his executive officer. Early the following year, Sam escapes from Fort Donelson and manages to cross the Tennessee River on his beloved black stallion, Spartacus, and is nursed back to life by an attractive young widow on her farm near the river. The woman wants him to stay with her but his loyalty is to the South, and to Sara Beth. Sam rejoins Forrest at Iuka, Mississippi just before the Battle of Pittsburgh Landing, also known as Shiloh to the Union forces. After Pittsburgh Landing, Forrest sends Sam back into West Tennessee on a scouting mission. A few months later he and his men return to Mississippi to discover that Forrest has been sent to Middle Tennessee, but they're still working for him. He recieves and order to return to West Tennessee with the mission of raising troops and harrassing the Federal troops who occupy the region. He and his men, who are reinforced with new men who had been with Forrest but had remained in Mississippi, ride back into West Tennessee with Col. Frank Armstrong, who is conducting a raid as far as Jackson. Unknown to Sam, Sara Beth has gone to Nashville with her mother and is also working for Forrest. Just before Sam and his company return to West Tennessee, Sara recieves word through an unlikely source that Forrest wants her to go back to West Tennessee. A few weeks later she has an unexpected encounter with her beloved Sam, who takes her to his secret camp at a field of ancient Indian mounds south of Jackson. Fearful that his camp may be discovered, Sam decides to move his camp to a new location in the remote Forked Deer River bottom north of Jackson. Sara advises him that there is a former Confederate training camp at Terry's Bridge, in a large field in the Obion River bottom below her family's farm. Sam decides to set up his training camp at Terry's Bridge, which puts him practically in Sara's back yard! 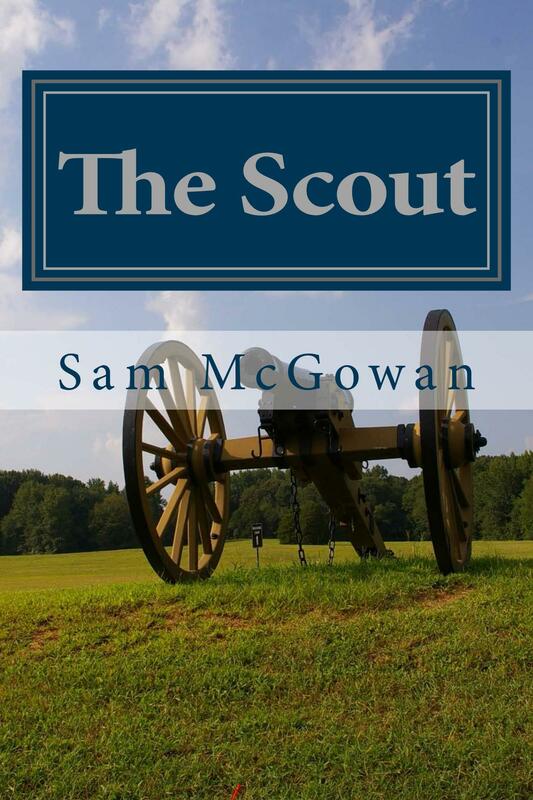 The Scout is an exciting story about what the Civil War in West Tennessee.